ES 585 – Are We Resilient? Modan is part of the first generation of Israeli graphic novelists. 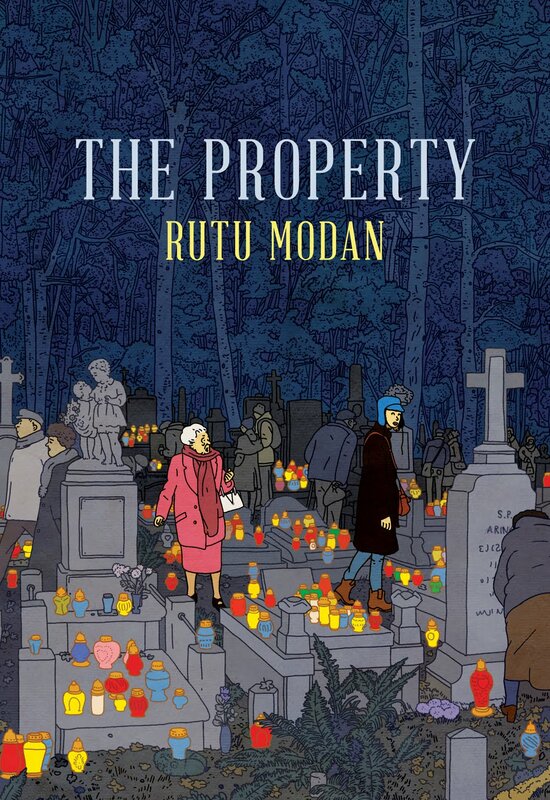 In The Property, an elderly Israeli grandmother returns to Poland with her granddaughter to search for a building confiscated from her family at the start of World War II. The grandmother is making her first trip back to Poland reluctantly. The granddaughter, age early twenties, accompanies grandma to provide moral support, out of curiosity, and to learn history. 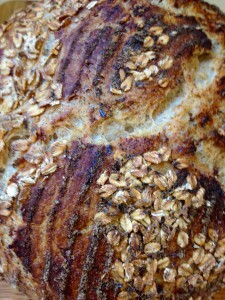 Once in Poland the granddaughter meets a handsome Polish tour guide to bygone Jewish Warsaw. While the farce of modern day Polish infatuation with all things Jewish after three million Polish Jews were slaughtered in the Shoa is piercingly and humorously rendered in Modan’s drawings, a potential romance blossoms between the young Israeli and Pole. 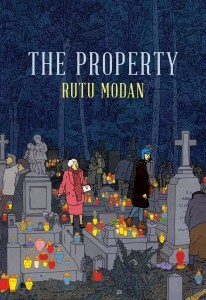 While granddaughter is traveling Warsaw on the back of a tour guide’s motorcycle, the grandmother meets the man who took over her family’s apartment and numerous secrets are revealed as the two old people speak, none of which can be described without spoiling the book. 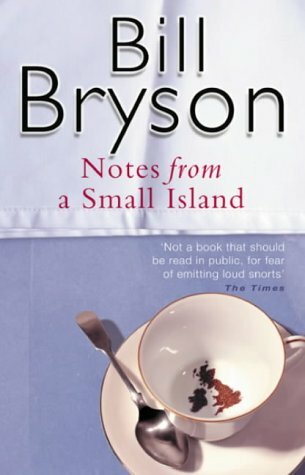 After a couple of decades of living in Britain, Bill Bryson decides to journey around the country one last time before moving with his family back to the U.S. He takes seven weeks to do a grand loop stopping in towns large and small to describe the British Isles of the early 90s with special attention to beer, architecture, and people, in that order. No doubt, the more you know of England the more you would appreciate his observations, but even without being able to fully appreciate the locales he was visiting, I was left with some rather wonderful impressions. Firstly, Bryson reminds one of the value of seeing the world at walking speed. That alone made me reevaluate the amount of daily energy I devote just to keeping up. Secondly, tied as I am to the natural world, I don’t pay nearly enough attention to the power of buildings as individuals or in their collective. 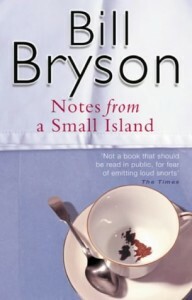 Thirdly, this book is vintage early Bryson. He is so funny on so many occasions I laughed aloud as if I was the one who had consumed one too many brews. If you have a chance to listen to the audiobook. It’s a remarkable read aloud. Includes everything you ever wanted to know about swimming: Greek mythology; the history of swimsuits and swimming pools; the beauty of open water swimming and how to make the most of counting laps; the evolution of the four basic strokes; the physiology of exertion; and the health benefits of a sport that won’t let you breath when you want to. 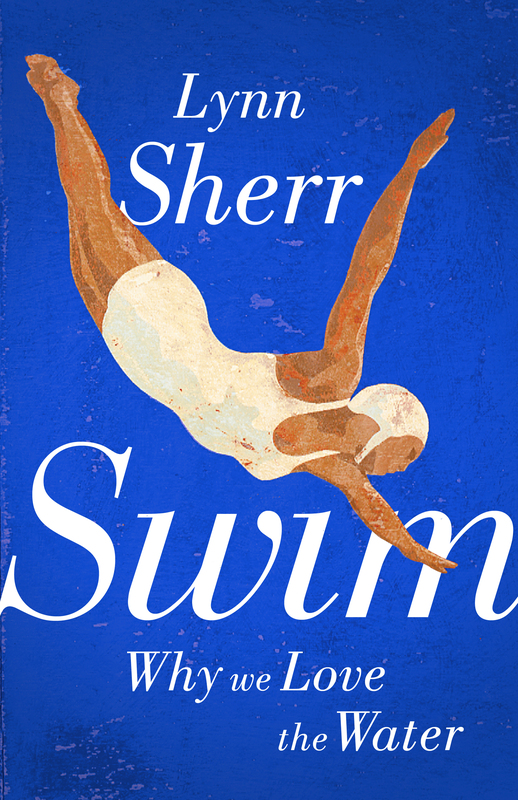 As a dedicated swimmer I thought I would love Sherr’s paean, but to my surprise what surprised me most is that there are people out there who love swimming. Men and women who get into the water and feel free, weightless both physically and mentally, unbound from the strictures of noise and sight. I mostly find swimming to be difficult and though the book was breezy and easy to move through, it would have been a better magazine article. Let’s begin with the fact that I picked up the book after the world discovered that Robert Galbraith was a pseudonym for J.K. Rowling. I can’t help but think it colored my reading. For starters, Robert Galbraith was supposed to be a former special ops and spy kind of guy. 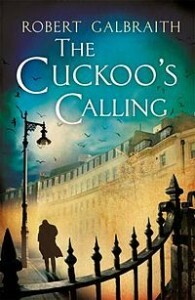 Cormoran Strike, the private detective that needs to find a killer drinks, smokes, and womanizes, but not nearly as much if he had been written by a male author, which is to say he drinks to excess only once, smokes outside his office, and is exceedingly gentle with his temporary assistant, Robin. Is it just chance that the young woman with a sharp mind for investigating has the same name as Batman’s sidekick? J.K. Rowling’s forte is capturing scenes and making you feel like you can see everyone in their homespace. This story revolves around a supermodel who falls, or was pushed, from a third floor balcony. The model’s brother hires Strike because he believes she’s been murdered. The remaining characters are all Londoners and by the end you feel like you have just read a contemporary account of 21st Century England. And the mystery is terrific.